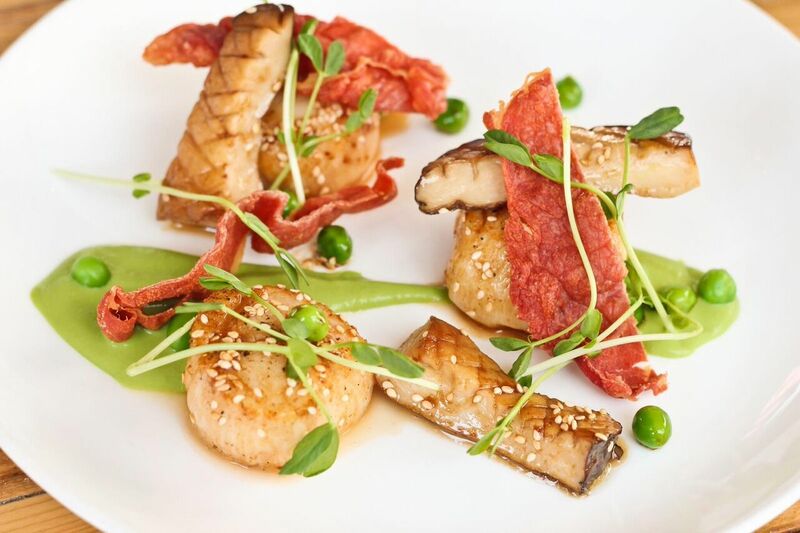 Foodies in search of savory meals that ignite the senses should consider The Greenwich in Water Mill the perfect complement to their weekends. 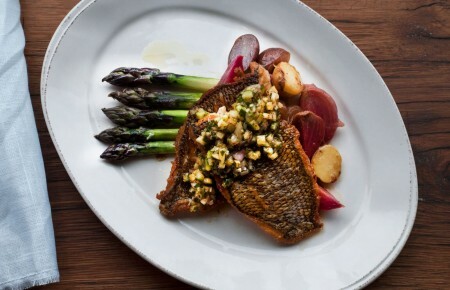 The new American restaurant goes above and beyond normal standards, providing customers with an assortment of tasty selections made from the freshest ingredients. 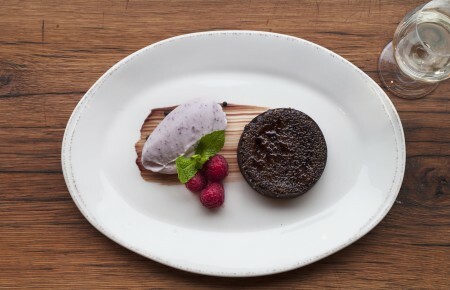 Nick Boccio and Chef Carmine Di Giovanni of The Greenwich Project, The Mulberry Project and Aunt Jake’s in NYC, partnered with restaurateurs David Schulman and Sean Kehlenbeck to open the spot Memorial Day Weekend. They were eager to bring the Hamptons a new high-end rustic restaurant where people can come to escape the hustle and bustle of everyday demands. “Being able to open in the middle of the Hamptons was a great opportunity and we are excited to offer a little bit of something for everyone,” Schulman said. A very inviting white décor captivates the clientele upon arrival. 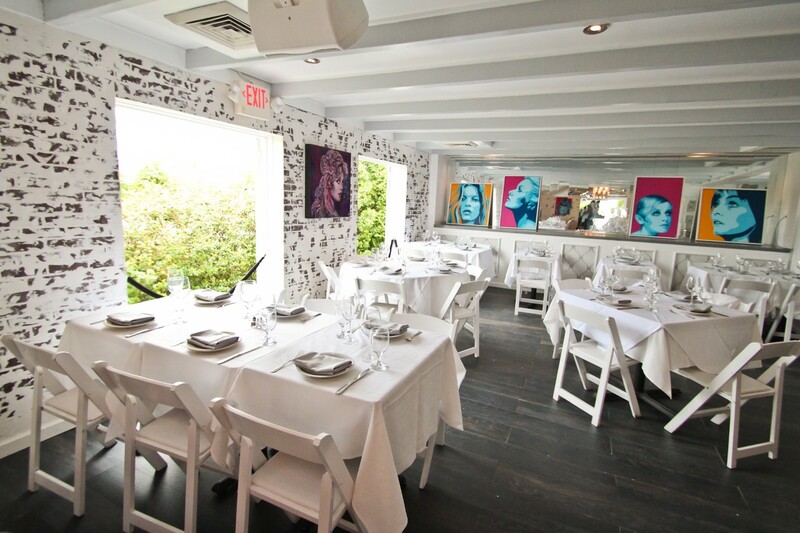 The stark contrast enhances the vibrant artwork that surrounds the tables. This creates a chic beach ambience where rustic meets elegance. The restaurant offers a palate-pleasing variety and welcomes those who are able to stick around for a couple of drinks to enjoy an entertaining social dining experience. It’s the quintessential setting for a calming after work cocktail, a small dinner party or a romantic date under the moonlight. 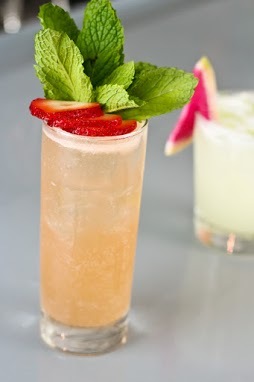 It’s early, but the most popular cocktail on the menu has been the Roses Grove, a relishing blend of belveder vodka, aperol, strawberry, lemon and orange bitters. After an apertif, opt for an appetizer like the calamari salad. 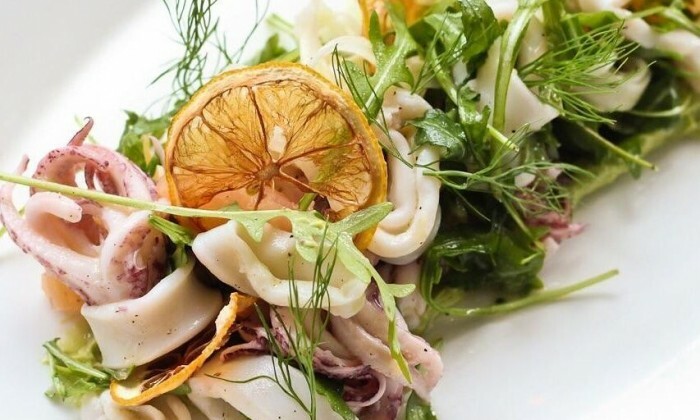 Tender pieces of fresh calamari are served in citrus, avocado and shaved fennel to add that little zest of flavor. The lobster toast is another fan favorite, dressed and glazed with avocados, chili and a chipotle aioli. Chef Carmine Di Giovanni recommends the Bone in Filet for the main course. This entrée is served with kale and artichoke dip, with just enough lemon to produce a mouthwatering tang. For those who really favor the menu, The Greenwich provides catering services for home events or small parties and is open year round. So sit back, relax and enjoy the weekend with your family and friends.